Court papers are intimidating, particularly when they say you have to leave your home (a summons eviction). A landlord needs a legal reason(s) to make you leave your home and this reason(s) should be clearly spelled out in the court papers. Responding to a summons eviction requires knowledge of the laws and process applicable to the landlord-tenant relationship in your state. Ignoring a summons eviction is never the right response because you could end up in the street. Record the date and time you received the summons eviction. Identify the date a response is required, and do not miss that deadline. Timelines are important in all court proceedings. If the landlord did not serve you the papers within the legal time limits, he may have to start the process over again. If you do not respond to the summons eviction within the legal time limit, you might not be able to fight the eviction. 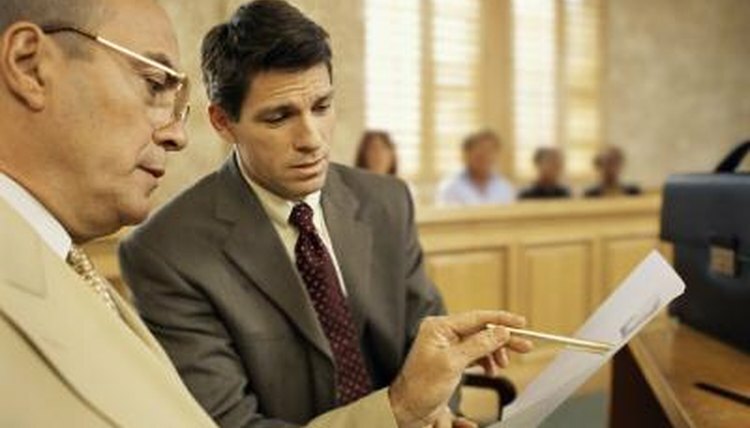 Consult with a lawyer if you have any concerns about time limitations. Review the reasons given by the landlord for the eviction in the court papers. Make notes about any disagreement you have with the facts as stated by the landlord. For example, if your landlord states you are being evicted for nonpayment of rent, you would note that you have the receipts to prove you did pay the rent. Research the landlord-tenant laws for your state. The laws are different for both the legal basis for an eviction and for the process of how an eviction must take place. Check whether there are any special defenses to an eviction available in your state. When in doubt, contact a lawyer or a tenants' rights support group. Draft a response to the summons eviction based on the landlord-tenant laws in your state. Identify the reasons you think your landlord is wrong to evict you. For example, the landlord might be wrongly evicting you because of your disability or because of noise you did not make. File the response within the time limit and in accordance with the procedural rules in your state. Check the rules for how and when to serve your landlord with a copy of your response. Strider, Carol. "How to Write a Legal Response to a Summons Eviction." , https://legalbeagle.com/8672908-write-legal-response-summons-eviction.html. Accessed 20 April 2019.